Leah Smith is from Ruston, Louisiana but has lived in Baton Rouge with her husband and two daughters since 2008. 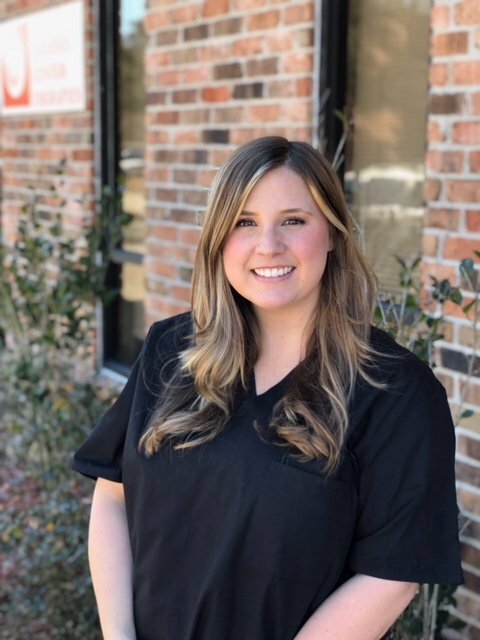 She received a Bachelor’s degree in Kinesiology from Louisiana State University and Master’s Degree of Occupational Therapy from the Louisiana State University Health Sciences Center in New Orleans. During graduate school, Leah completed a Capstone Project on developmental milestones with an emphasis on parent education for early intervention. Since graduating in 2016, Leah has worked in pediatric settings and attended multiple continuing education courses to further her pediatric knowledge. She is a certified Lactation Counselor and a Certified Infant Massage Therapist. She has also earned continuing education credits in Visual Processing, Integrated Listening Systems, water safety, Handwriting Without Tears, and will be attending a course on Primitive Reflex Integration later this year. She has a background of hands on experience working with sensory processing, autism, picky eating, bottle and breast feeding, medically fragile children. She has a love and enthusiasm for working with children and their families which she hopes to bring to all of her therapy sessions.